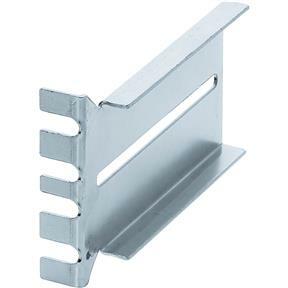 These brackets are used to mount drawer slides to the front and back of a computer desk or other cabinets where no side mounting wall is available. 2" width supports our 3/4 and full-extension drawer slides. Sold in pairs.